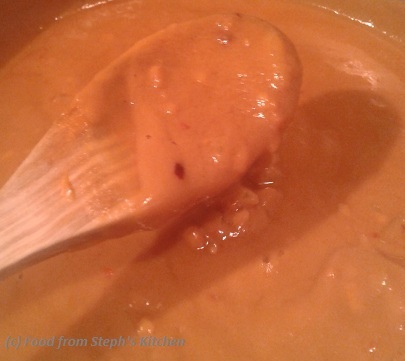 This satay sauce can have a bit of a kick or mild. I always thought satay sauce was like most tasty asian sauces that used things that I would need to go and buy just for the occassion (especially since my house is more stocked like an Italian household). After looking into a few different recipes, trying to find one that didn't use special ingredients I threw together my own which is super easy to make. It can also be made as spicy or mild as you like! 1 small chilli (roughly chopped) or 1 tsp hot chilli flakes - or add only a sprinkle if you have kiddies! In a small pot or pan add your oil, onion and fresh chilli, frying until onion is transparent. Add your garlic (and chilli flakes) until you can smell the aroma of the garlic, and then remove from the heat. Now add everything else into the pan - your peanut butter, water, lemon juice, zest, brown sugar, soy sauce, balsamic vinegar. Now mix everything together - and I know right now you are probably looking at this thinking it looks curdled and so, so wrong - but I promise that is normal at this stage. I promise it will go smooth and turn out perfect! Add your sauce pan back to a low to medium heat, stirring it slowly as you bring it to the boil and it thickens. Once smooth and thick remove from the heat and put aside. Now - onto your stir fry. In a large pan or wok add a little bit of oil and your onion and meat, adding in your veggies and capsicum once the onion starts to change colour. If you are like my other half and don't like crispy capsicum just add it in with your onions. 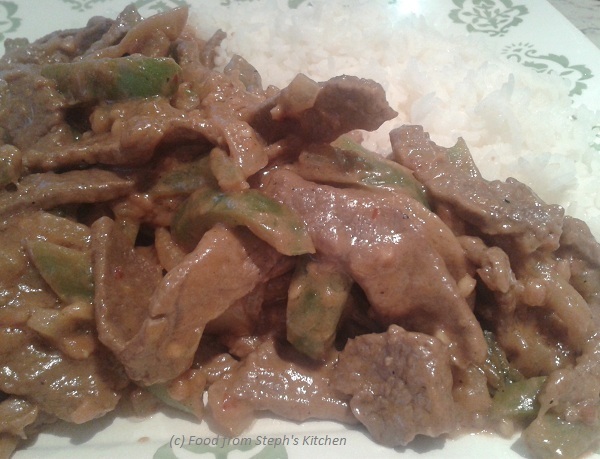 Once the beef is cooked and the veggies are done to your liking, pour your satay sauce into the pan and let it cook for a couple of minutes, stirring so the sauce coats everything. Very inviting recipe! I like the sauce of that dish and I think my family would like this, because they really love saucy food. Thank you for this. You are most welcome!! Being able to choose how hot to make it is the best part I think :) Hope your family likes it as much as mine!